JUST 11 months after pouring concrete at its $70 million factory, Knauf Bundaberg has produced its first plasterboard. It completes a stunning year for the German manufacturing giant with the promise of better things to come - for it, and the Bundaberg region. Last month, the plant received its first load of gypsum at the Port of Bundaberg. The equipment at the state-of-the-art facility was fired up for the first time last week. Three days later, the plant produced its first plasterboard, which was duly signed by the Bundaberg team. 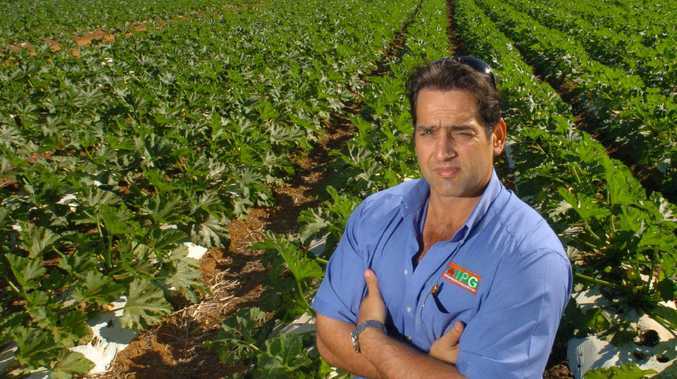 Barely containing his pride, plant manager Justin Weier told the NewsMail, given the complexity of the process, to produce a board within three days was quite a feat. "Across all Knauf sites in Australia and around the world, it is considered a remarkable achievement to produce a board so quickly, with other new plants taking months to reach this point. "It is extremely satisfying, to be in this position at the start of a long road ahead. "To think that we only started pouring concrete for the factory in September and now 11 months later we have a state-of-the-art facility, which has already produced its first boards is awesome!" Mr Weier said Knauf teams in Sydney, Melbourne and Germany had all been impressed with the high level of knowledge and skill gained by the Bundaberg team in such a short period. 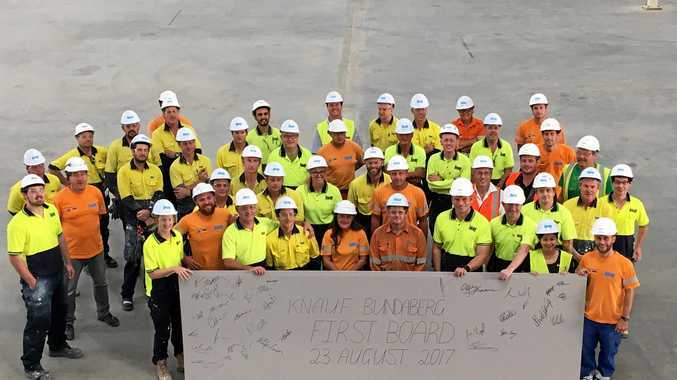 The Bundaberg team even got a tick of approval from Knauf Asia Pacific CEO Murray Read, who was delighted with the progress. "I was extremely pleased to see the first plasterboard being produced at our newest plasterboard manufacturing facility," Mr Read said. "Knauf constructs first-class manufacturing lines and although the plant is still in commissioning, it is clear that the quality of this facility is world class. "The job performed by the building contractor, Hutchinson, was extremely good, as was the input by the many local Bundaberg engineering contractors, who provided their services to the project." The plant now begins a comprehensive qualification and development program trial to ensure all the different plasterboard variants produced at Knauf Bundaberg are manufactured to high standards.